A river runs through Yellowstone National Park near Grand Prismatic Hot Spring. YELLOWSTONE NATIONAL PARK, Wyo. – Warmer temperatures, longer and more volatile fire seasons, shorter winters, less snowfall and significant changes in the dominant species of plants: The iconic park you see here today will be fundamentally altered by global warming in the coming decades. Scientists have already documented dozens of changes in the park in the past 50 years, including 30 fewer days with snow on the ground per year, 80 more days above freezing per year at the northeast entrance and higher average temperatures overall, especially during the nighttime. The ramifications are huge, but exactly what that means for the park in the future is hard to pinpoint. “We’re kind of in the middle of it, and we’re now thinking of those historic trends as more of an indicator for us about where we’re going into the future,” said Ann Rodman, director of geographic information system operations for the park. Wildfires: Battling blazes year-round is now the norm. How did we get here? 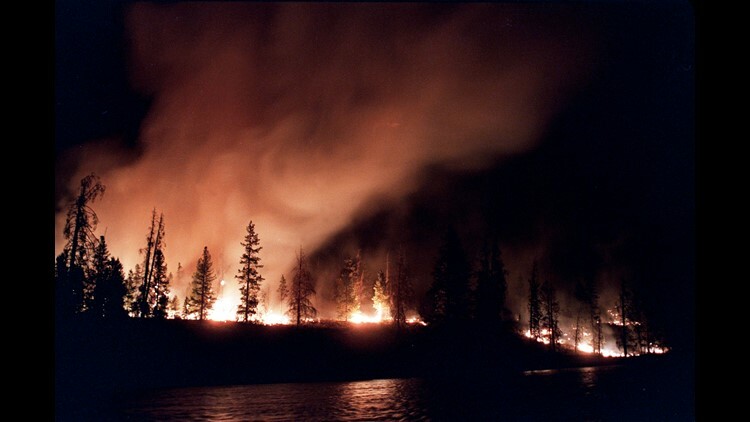 A forest fire blazes out of control in Yellowstone National Park on Sept. 2, 1988. The blaze eventually burned 36 percent of the park. A hotter, drier climate in Yellowstone means extreme weather events, and the frequency and severity of fires could become more common, Rodman said. Snow melting faster in the spring increases the potential for flooding. A lower snowpack means less water to last through the summer, causing plants to potentially die out sooner and reducing the vegetation animals feed on. A longer growing season, where winter starts later and ends earlier, makes drought more likely in the middle of the summer. “Things are becoming a problem now that weren’t a problem in the past,” Gross said. Those events are difficult to predict because of all the variables that must come into play each year and each season. 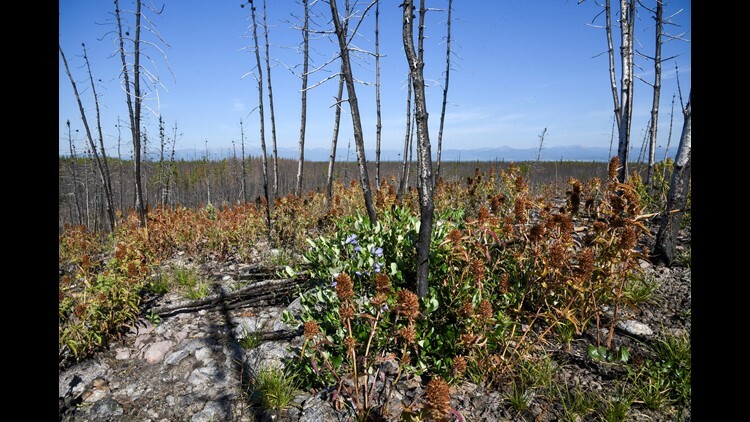 Mint grows July 22, 2018, at the base of a charred group of lodgepole pines that burned in the 2016 Maple fire in Yellowstone National Park. Yellowstone and other ecosystems have undergone immense change due to natural climate cycles in the past. What makes it so different today is the timescale on which these changes are happening. Big temperature shifts used to take 5,000 to 10,000 years. Now, they're happening in decades, Rodman said. "One of the things about climate change that I'm beginning to appreciate is the rate and speed at which this is happening, which is kind of the unprecedented part in all of this," she said. The implications on the park’s animals and plants are immense but because the changes are occurring far more rapidly than in the past, scientists don’t have a model to predict what Yellowstone will look like 50 or 100 years from now. “We don’t have a past we can look back on and say if something happens this fast, this is how things are going to react,” she said. “You really don’t know, if the vegetation changes, how the animals are going to react to it, but they certainly will." The park is already changing due to warmer temperatures. Parts of the park have been invaded by plants that take advantage of the newer climate conditions and can out-compete the native vegetation for moisture. “At the lowest elevations of the park, we’ve seen a huge change in vegetation in the last 10 years,” Rodman said. It’s not unnatural for the dominant forest type in any particular area to change overtime. But the timescale that happens on is usually much longer, Gross said. 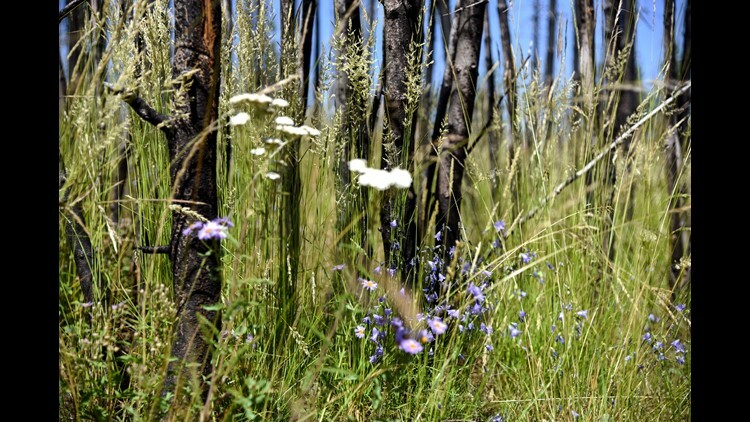 Wildflowers and grass grow thick beneath a charred group of lodgepole pines that burned in the 2016 Maple fire in Yellowstone National Park on July 22, 2018. Add in the fire threat, and you’ll see the problem: What happens when plant species that have survived in an area for thousands of years can’t come back after a large chunk of land is burned? Plants that didn’t previously grow in that area may spring up because they can survive the hotter, drier climate now in place. The highest elevations in Yellowstone, where trees give way to alpine meadows, could be some of the most affected by climate change, said Tom Olliff, head of landscape conservation and climate change for the National Park Service's Intermountain Region, which covers more than 80 different parks, including Yellowstone, where he's worked for more than 30 years. "In some scenarios, we’ve projected that those would disappear and you’d have all forests, and clearly that’s going to hurt things," including animal species such as the American pipit, marmot and pika, Olliff said. With a large uptick in fire frequency and severity, Yellowstone will look much different. In 50 years, the omnipresent lodgepole pine may no longer dominate, for instance. "It would be a whole different Yellowstone," he said. Yellowstone and other ecosystems around the U.S. and the world have evolved to handle wildfires and natural changes that occur slowly over time. But with climate change, the old vegetation might not grow back after a fire and instead a different species, one more tolerant to warmer and drier conditions, might take its place – and that's new. That could mean letting plants move into the park even though they are technically invasive but are native to areas outside its borders. Rodman’s fear is we won’t make that change in mindset quick enough. Get up with the sun to catch some of the best wildlife viewing in the park. Park rangers offer myriad programs throughout the year to help visitors have more in-depth experiences in all of the different areas of Yellowstone National Park. Led by a professional photographer, take off in the early morning hours for a five-hour photo safari. 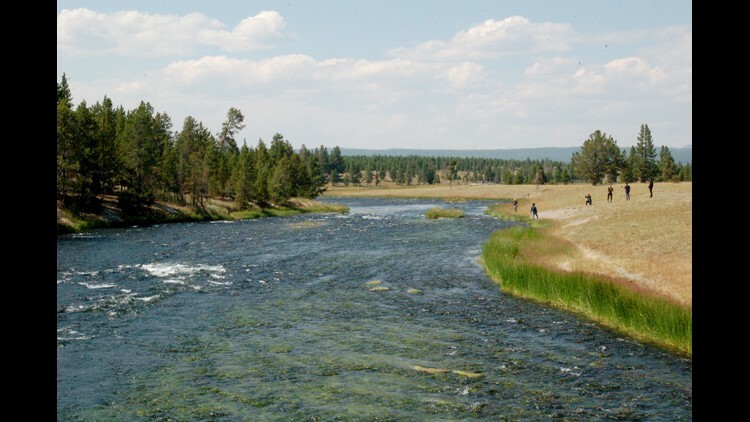 Volunteer to help the National Park Service by fly fishing in Yellowstone. Or canoes or kayaks on any of the lakes found throughout the park, boating in Yellowstone is boatloads of fun. Without light pollution, the night sky over Yellowstone seems to be filled with millions of stars visible by the naked eye. Go out on your own and just look up, or join a ranger program that uncovers the mysteries of the night sky.